BRUSSELS & SAN FRANCISCO – September 11, 2012 – SoftKinetic, the leading 3D gesture recognition software and solution provider, today announced that its industry-leading technology and middleware for close-range gesture tracking will be included in the Intel® Perceptual Computing Software Development Kit 2013 (SDK) Beta announced and demonstrated at the Intel® Developer Forum 2012. 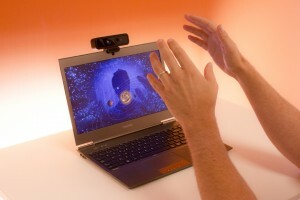 The close-range finger tracking capabilities created by SoftKinetic will enable developers using the Intel® Perceptual Computing SDK 2013 Beta to create natural and interactive applications. The Intel SDK will help enable developers to support a wide variety of consumer solutions that utilize gesture recognition, voice recognition and face tracking as close as six inches from the screen. SoftKinetic is also developing games and apps to be included in the Q4 release of the Intel® Perceptual Computing SDK 2013 Beta. Intel will be demonstrating these latest technological advances at this year’s Intel Developer Forum, September 11–13 at the Moscone Center in San Francisco. Note: Please note that all dates referenced herein are based on current expectations and are subject to change without notice. Additional screenshots may be downloaded here.